Christmas Traditional; Felix Mendelssohn; Harold Darke; Henry Walford Davies; John Francis Wade; John Goss; John Joubert;... Very Good. In very good packaging. 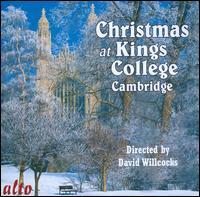 King's College Choir Cambridge-Christmas At King's College Cambridge by King's College Choir Cambridge.